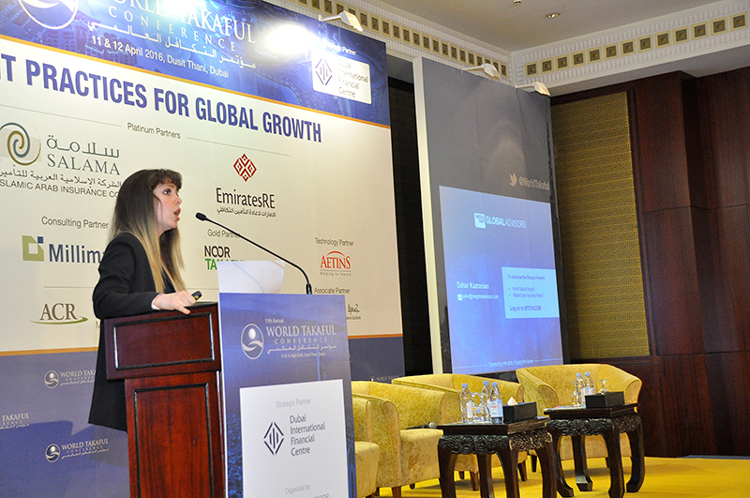 The 11th annual World Takaful Conference concluded its two-day proceedings on Tuesday to overwhelming praise from the Takaful industry, following the launch of a unique intelligence report by the forum’s conveners, Middle East Global Advisors. The Finance Forward World Takaful Report: Connecting the Dots, Forging the Future was launched as part of WTC’s commitment to supporting the Takaful industry through insightful and groundbreaking intelligence. The Report provides a way forward to addressing various challenges ranging from price wars and pricing regulation, to closing the gap of human capital, and includes contributions from UK & Netherlands-based boutique consultancy, Takaful Outsource. With specialist contributions from Takaful Outsource and comprehensive survey of industry practitioners by Middle East Global Advisors, the Report will be instrumental to help industry players navigate the regulatory, economic, demographical and technological landscape in uncertain times. The World Takaful Report was launched to an audience comprising of high profile guests and dignitaries from Dubai Islamic Economy Development Centre, Dubai International Financial Centre, Islamic Insurance Association of London, Insurance Authority UAE, PwC, Moody’s, EY, Swiss Re, Munich Re, Noor Takaful, Watania, Emirates RE and many more organisations. The 12th annual edition of WTC will take place in April 2017. For more information, visit www.meglobaladvisors.com.